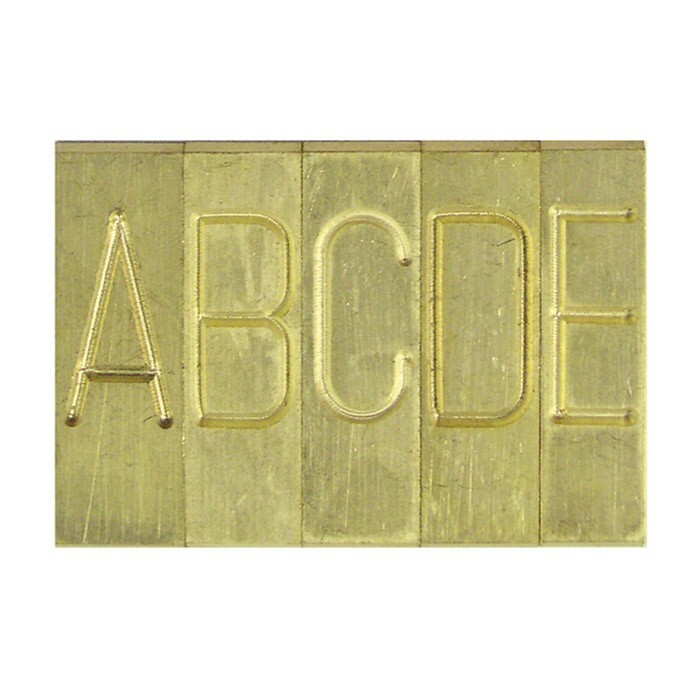 Set of 140 Pieces (includes box) Font Set for Flat Engraver. Font Set includes special characters one each . , : ` ; " " & two of each number 0-9, five each of letters A, E, I, O, M, N, I., four each of letter B, D, F, G, H, K, P, R, S, T, U, three each of letters C,J,V,W, two each of letters X, Y, Z, one each of letter Q six narrow blanks, six wide blanks included.